This comet is very interesting. The main problem is to detect some details near the pseudo nucleus or in the tails … which is not a piece of cake! 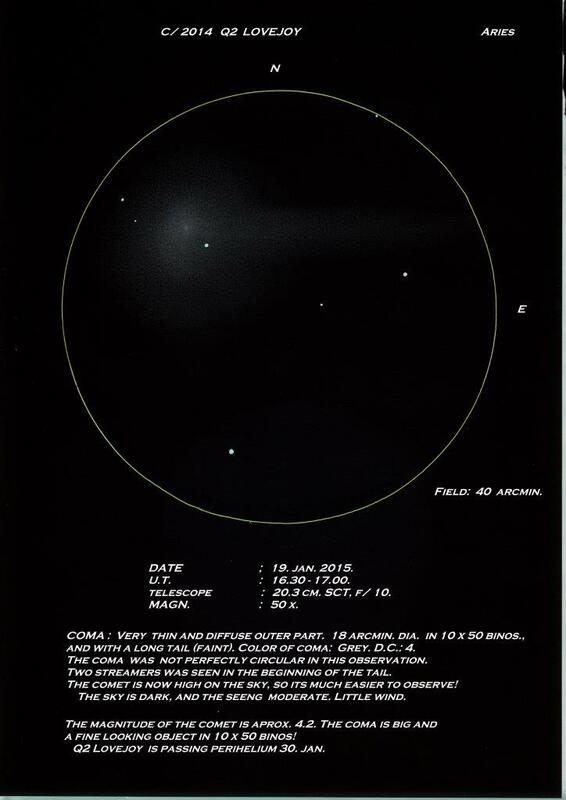 This is an excellent capture of our recent winter comet. It is nice to see this fine post. Beautiful capture of the ever changing comet. I will miss seeing it when it it no longer visible! Thank you all for Nice comments on my sketch!